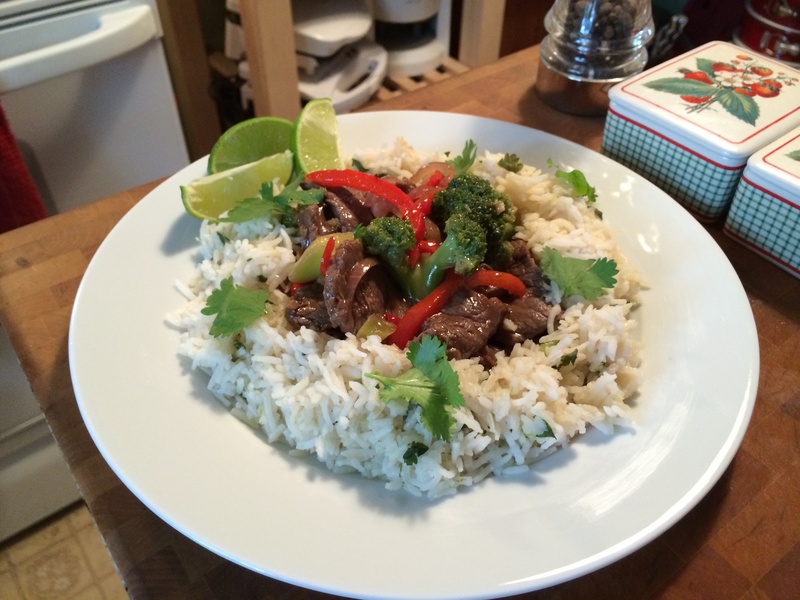 Coming up is my Beef And Broccoli Stir-Fry with cilantro lime rice. Fast and easy that you can make any night of the week. Take-out homemade!